Below are my thoughts from the daily Bible reading of the West Side Church of Christ. Today’s reading comes from Joel 1-3. Before reading I invite you to pray and asked God to speak to you as you read his word. Also above in the tabs is a link to the Bible reading plan. In the ancient world one way to show grief, shock, or repentance was by tearing your clothing from the neck down. This was an outward symbol of what was going on in the mind and heart in the moment of anguish. In our twenty-first century minds this is an odd way to show grief. But in reality until recently we had some similar practices … wearing only black to a funeral … as a minister I attend many funerals, people no longer wear solid black to funerals. I am sure there are other ways today that we show morning through our outward appearances. God knew this practice existed and in the return from exile, He wanted His people to turn back to Him. “Turn to me now, while there is time. Give me your hearts. Come with fasting, weeping, and mourning. Do not tear your clothing in your grief, but tear your hearts instead.” Return to the LORD your God, for he is merciful and compassionate.” (Joel 2:12-13 NLT). So while we may show the physical signs of mourning, I do not believe that is enough. I believe we must turn to God. We must find comfort and strength in Him. In God we should find our medicine. Only in God will true joy be realized. In cognitive thinking that is an easy thing to do. But in a practical application it is harder. Doing so will be something that takes effort, thought, and time to develop into a habit. 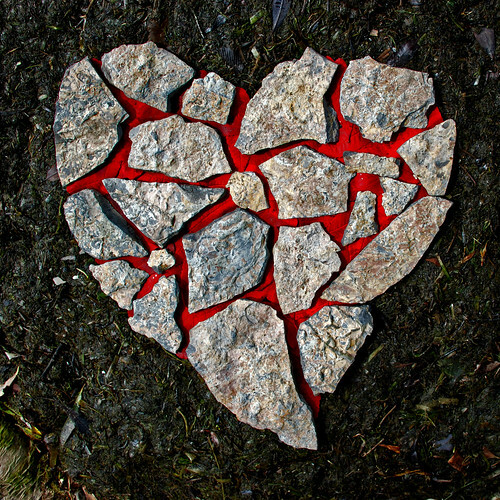 To tear your heart and not your clothes is giving it to God because only He can mend the torn heart.